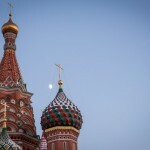 The moon looks down on St. Basil’s Cathedral. 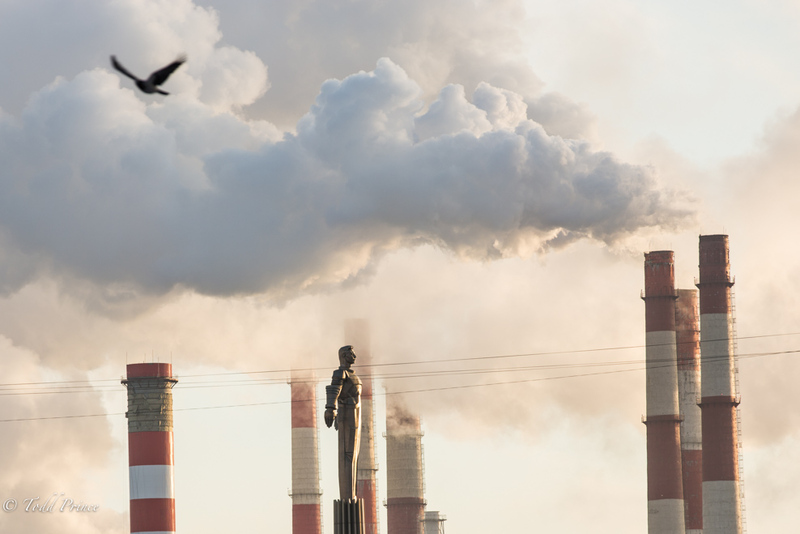 Gagarin’s blue sky background is clouded out by steam from a power plant. 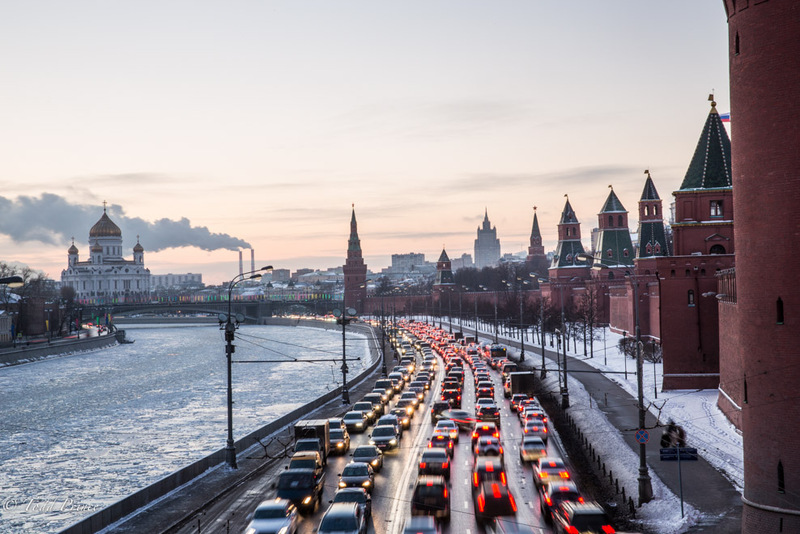 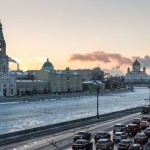 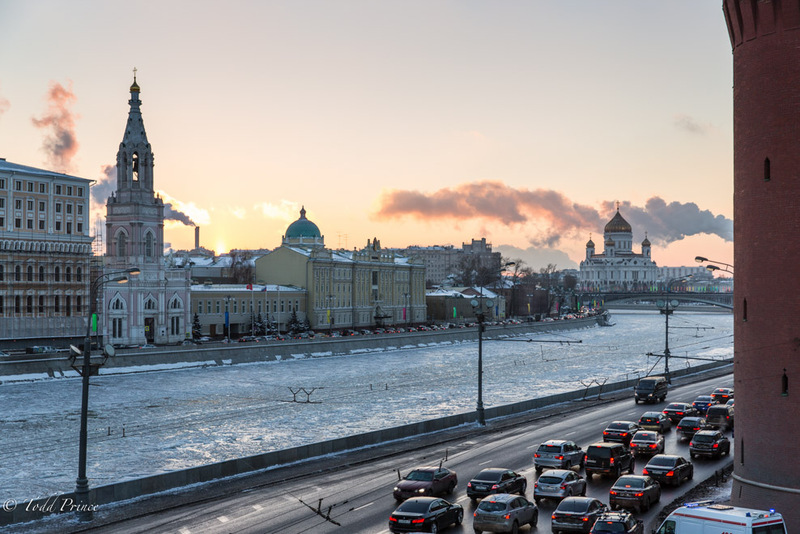 Steam rises from a power plant in the distance as traffic builds by the Kremlin. 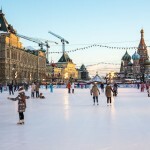 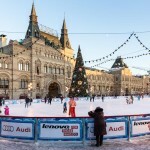 Russians skate in -16c on Red Square before the New Year. 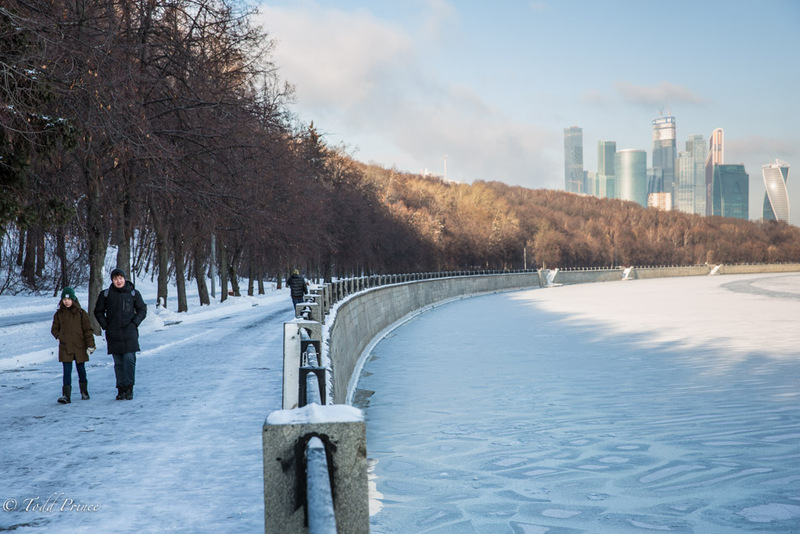 Two students walk along the Moscow River, their backs to the city’s Financial District. 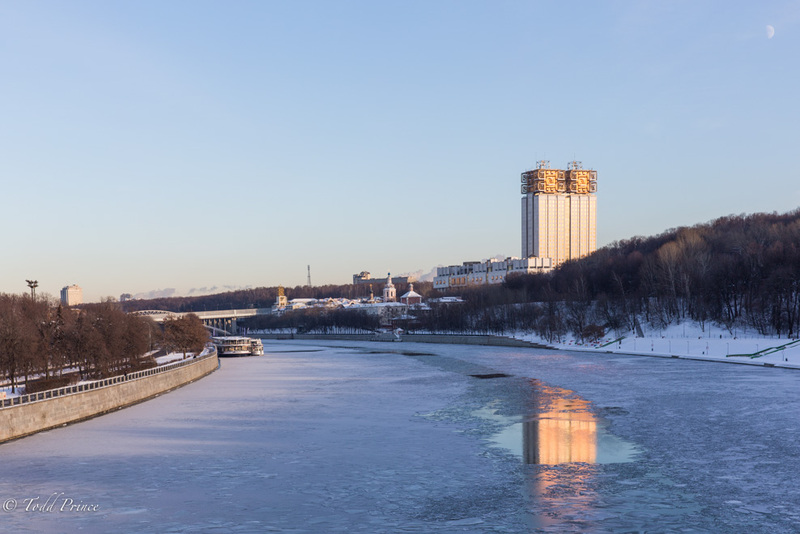 A winter sunset over the Moscow River. 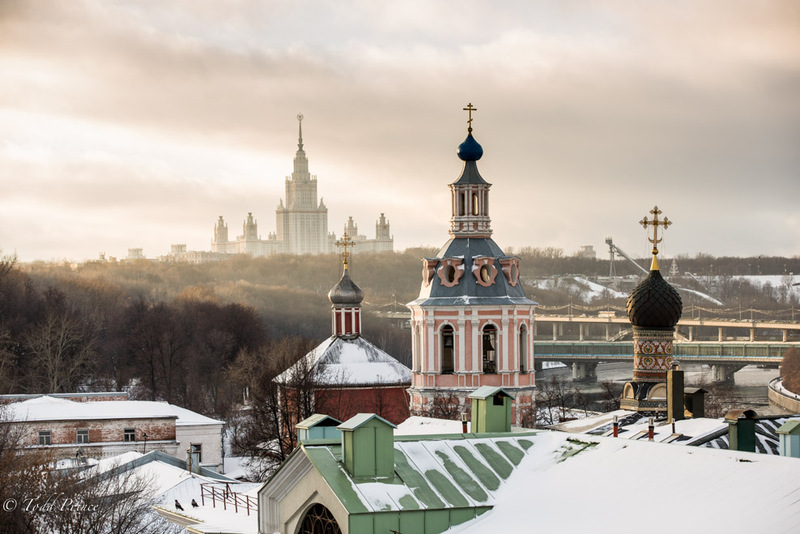 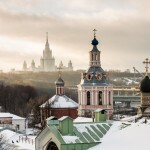 Moscow State University’s main building rises in the background as church tops color the foreground. 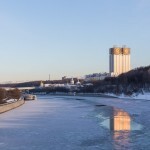 The Russian Academy of Science on a cold, sunny winter day. 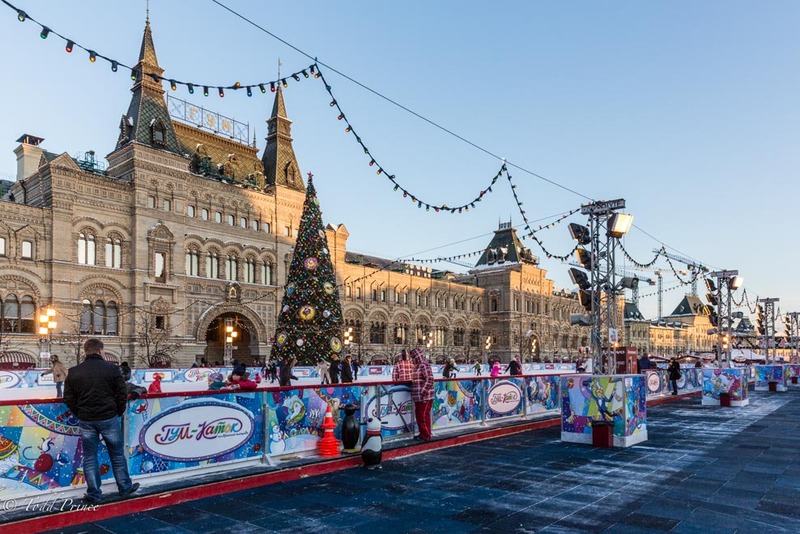 The setting sun throws its last rays on GUM department store as children ice skate on Red Square. 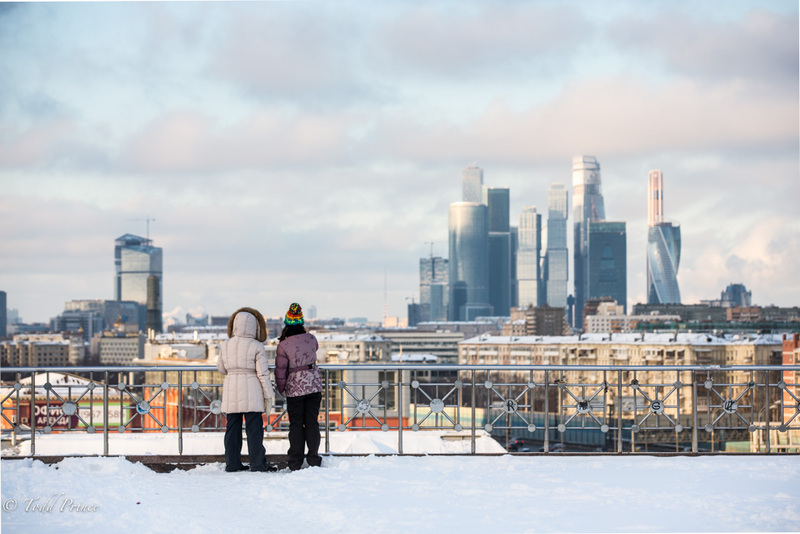 A mother and daughter look out upon Moscow’s Financial District amid a walk on a sunny day. 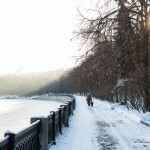 A Russian woman walks her dog along the Moscow River on a cold but sunny Moscow winter day. 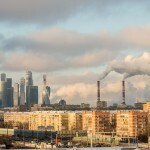 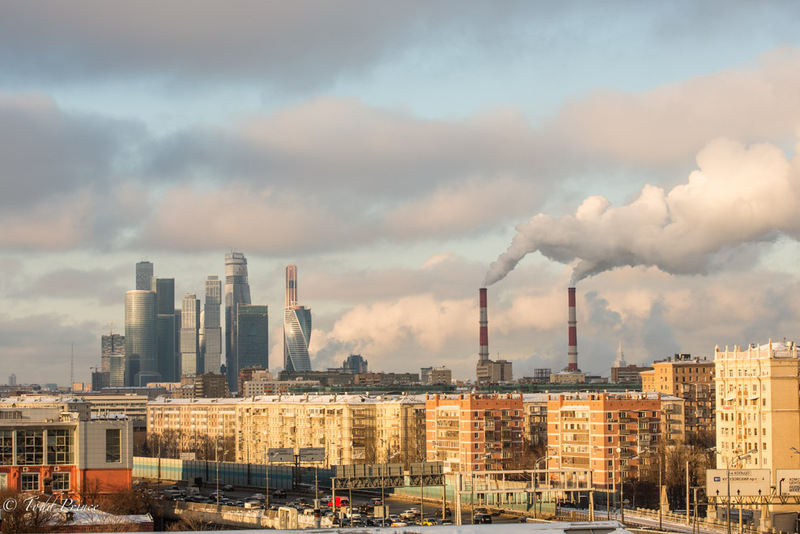 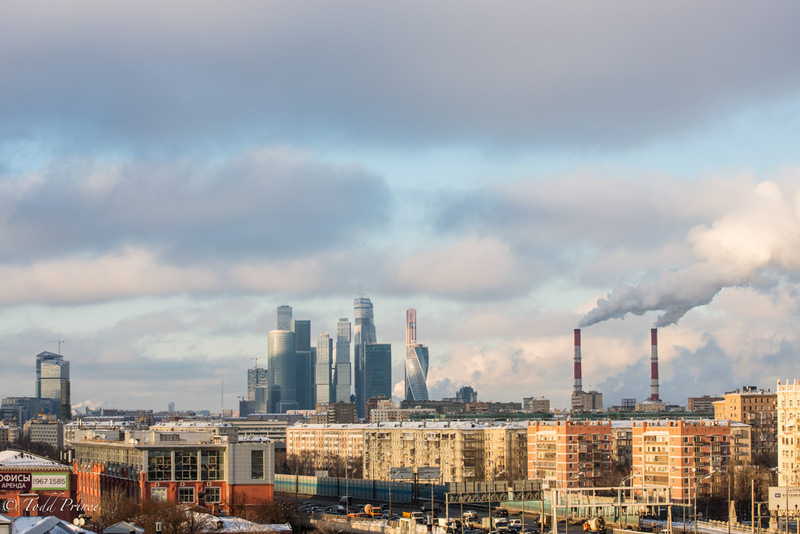 A power station releases steam near the Moscow Financial District. 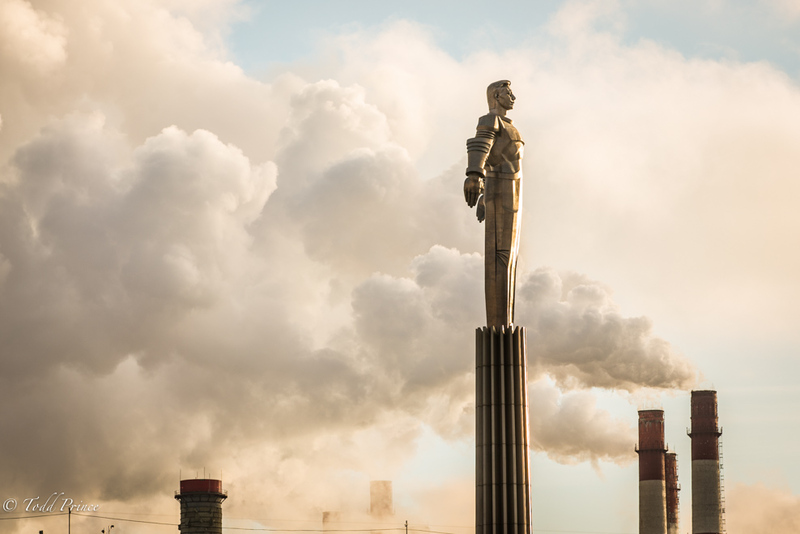 Gagarin Monument and the Russian Academy of Sciences. 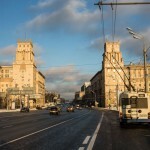 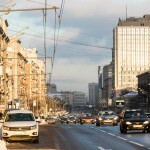 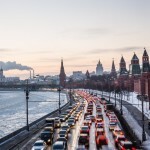 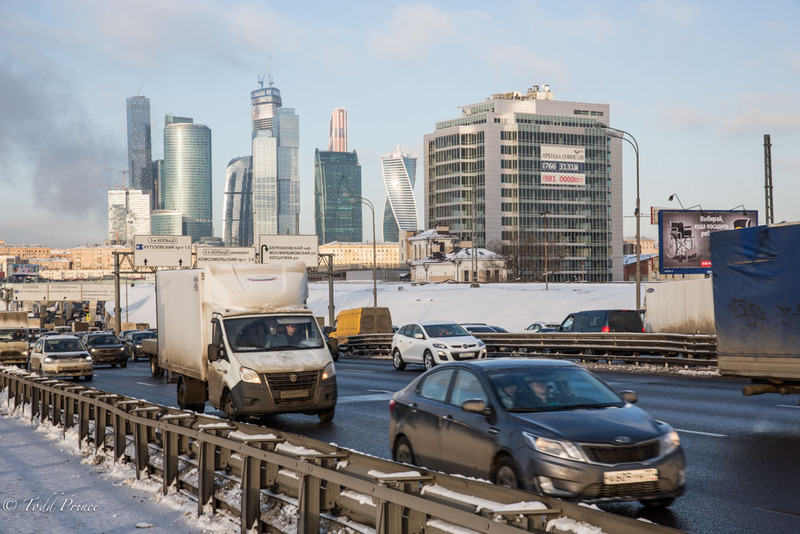 Cars pass along a major city road as Moscow’s Financial District basks in the sunlight in the background. 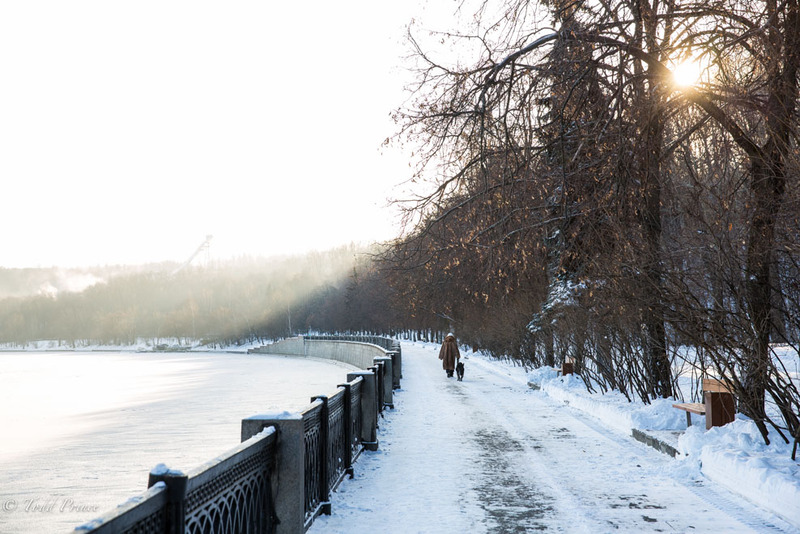 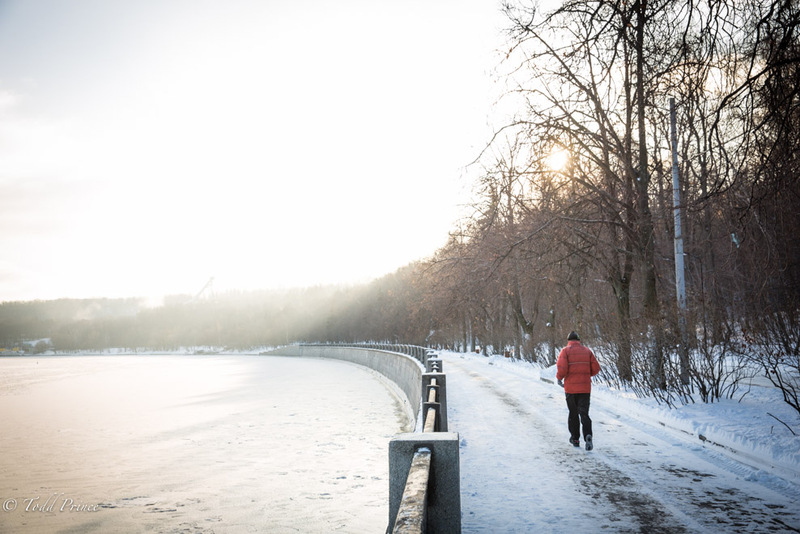 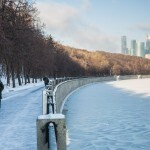 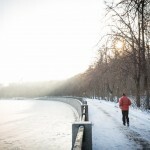 A man jogs along the Moscow River as the sun peaks through the trees. 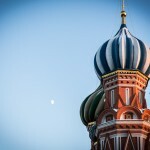 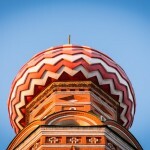 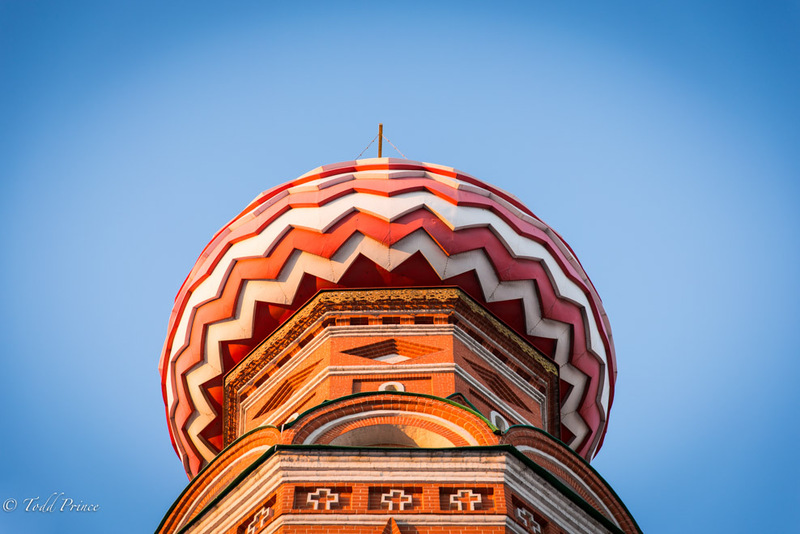 The setting sun throws its last rays on St. Basil’s cathedral. 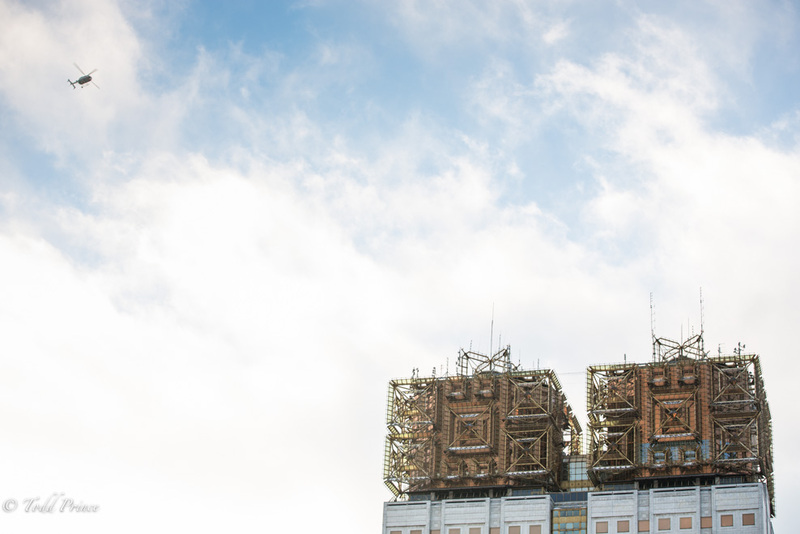 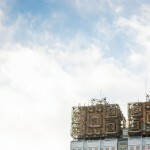 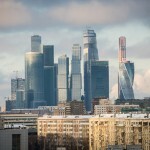 A close-up of Moscow’s Financial District on a cold, sunny winter day. 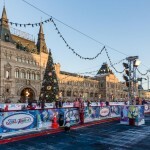 A large christmas tree stands on Red Square behind the ice skating rink. 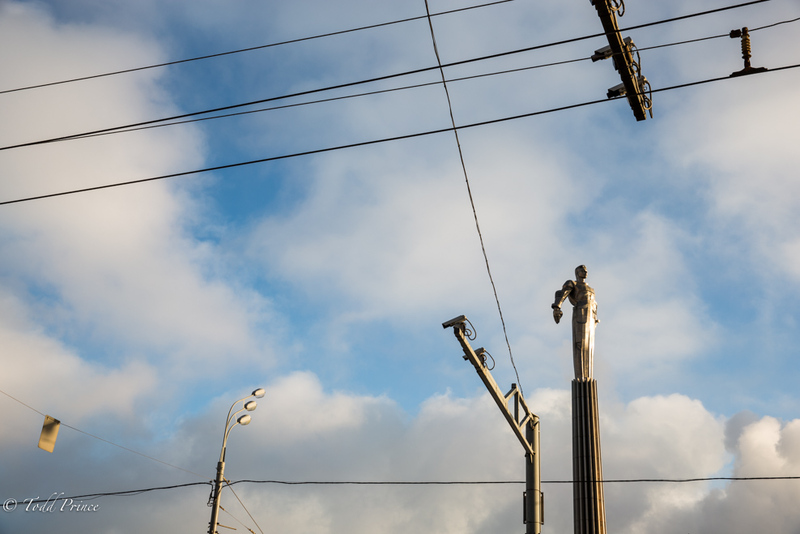 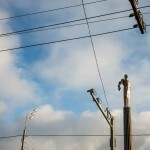 Electricity lines for Moscow buses and trams crisscross the city, creating an interesting foreground for Gagarin. 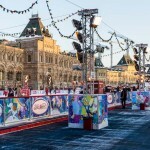 GUM Shopping Center stretches along Red Square. 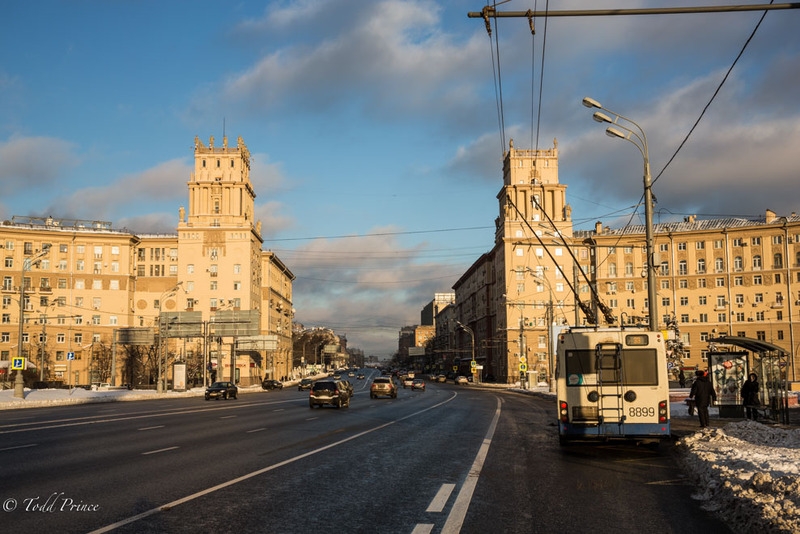 Stalin buildings welcoming drivers as they approach the Moscow city center. 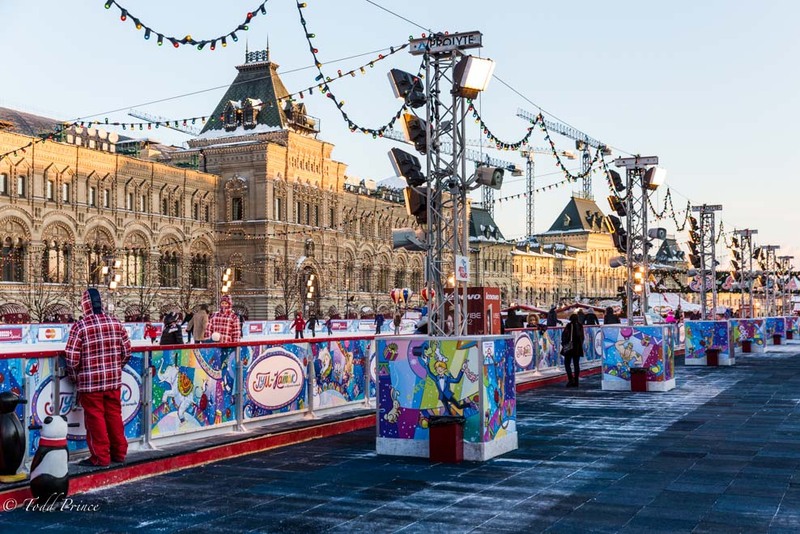 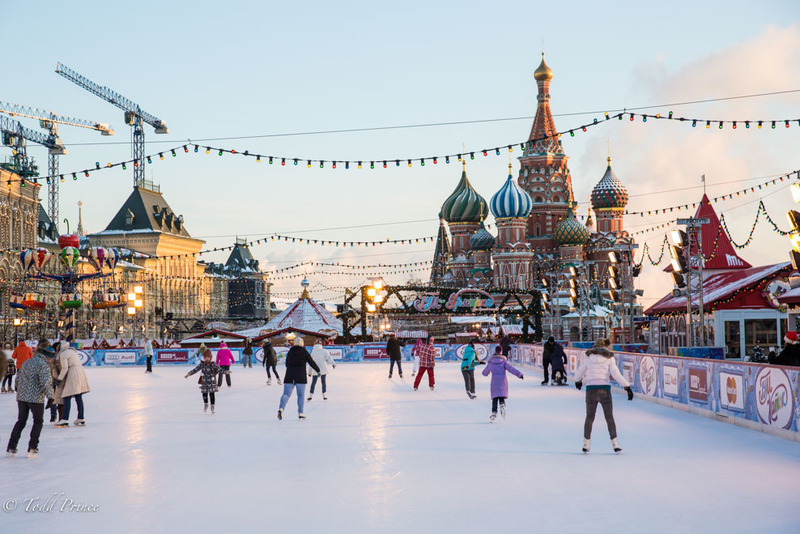 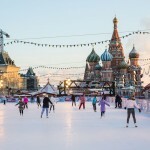 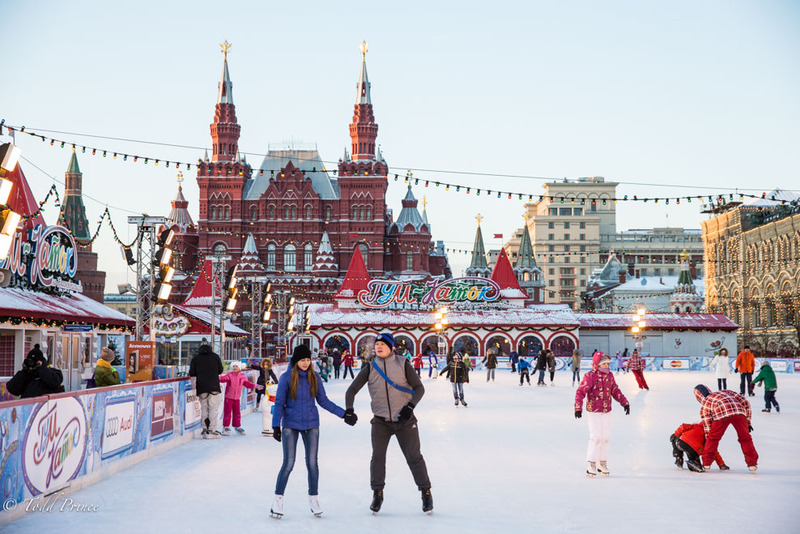 An ice skating rink covers Red Square as St. Basil’s rises in the background. 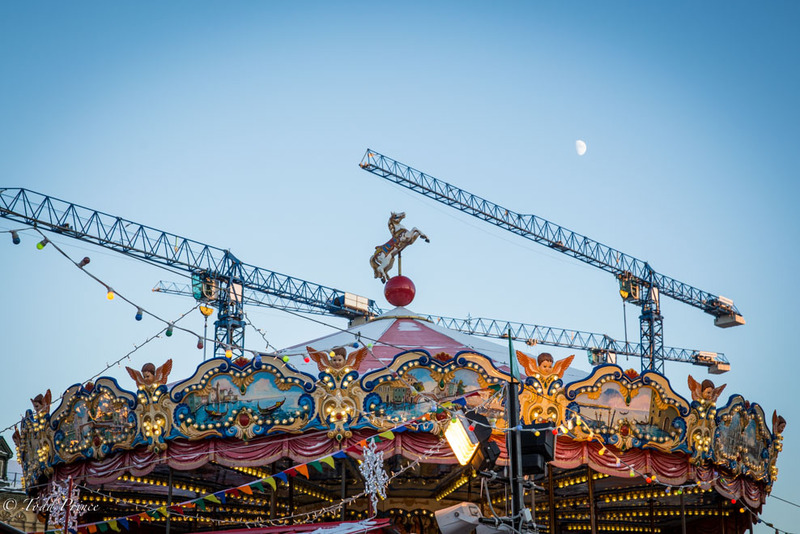 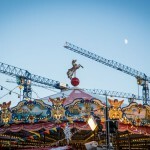 A toy horse figure sits atop a carousel on Red Square as the moon looks down. 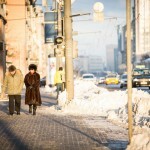 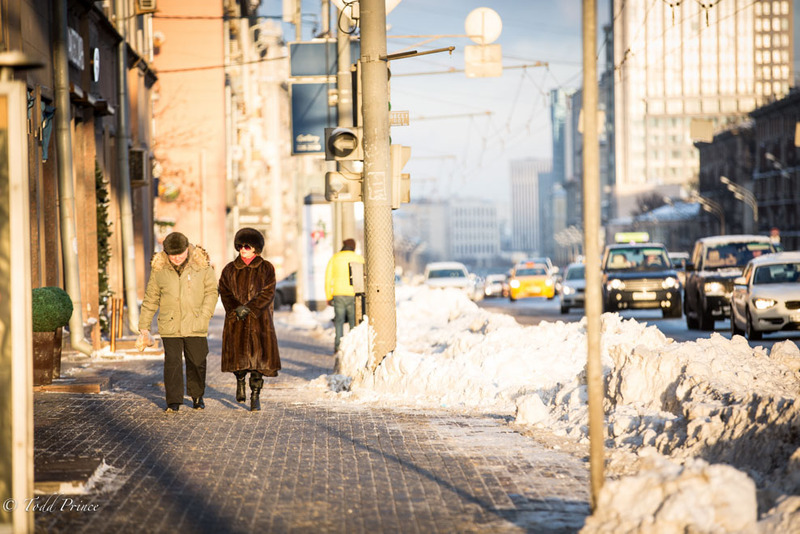 A Russian woman dressed in fur walking down Leninsky Prospect on a cold but sunny Moscow winter day. 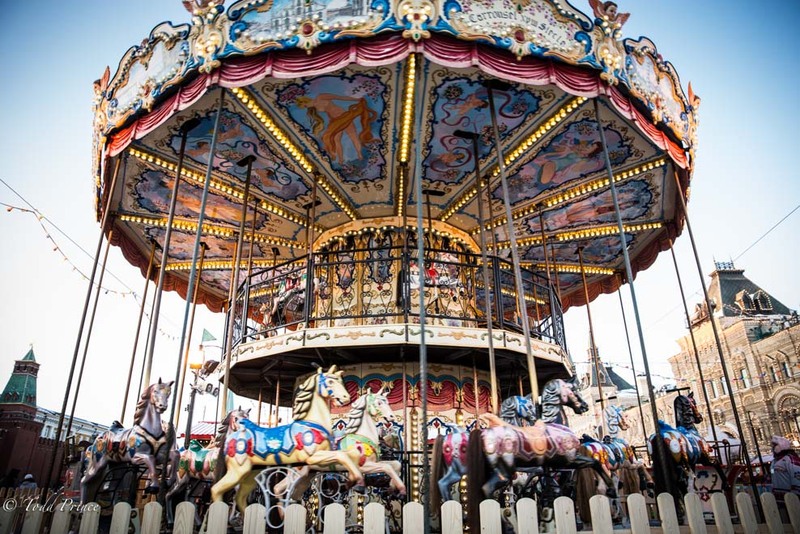 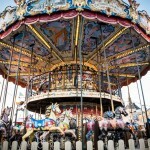 A carousel spins on Red Square at dusk. 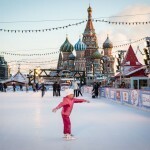 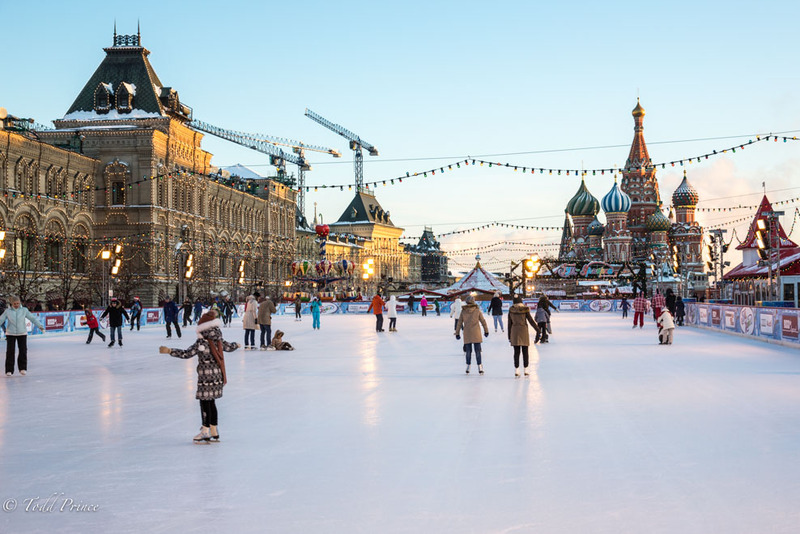 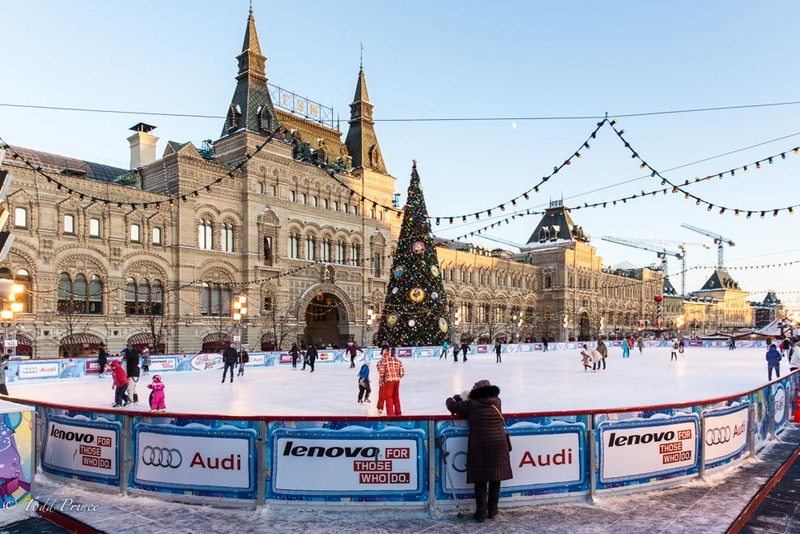 A Russian child skates on Red Square ahead of New Year’s celebration. 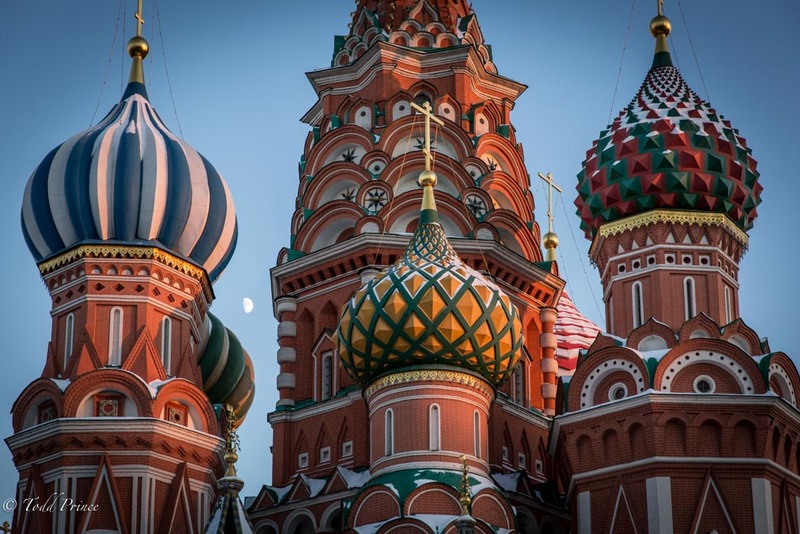 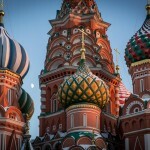 The moon peaks out between the cupolas on St. Basil’s Cathedral. 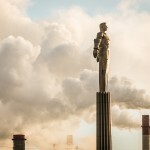 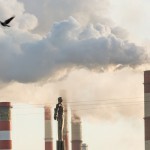 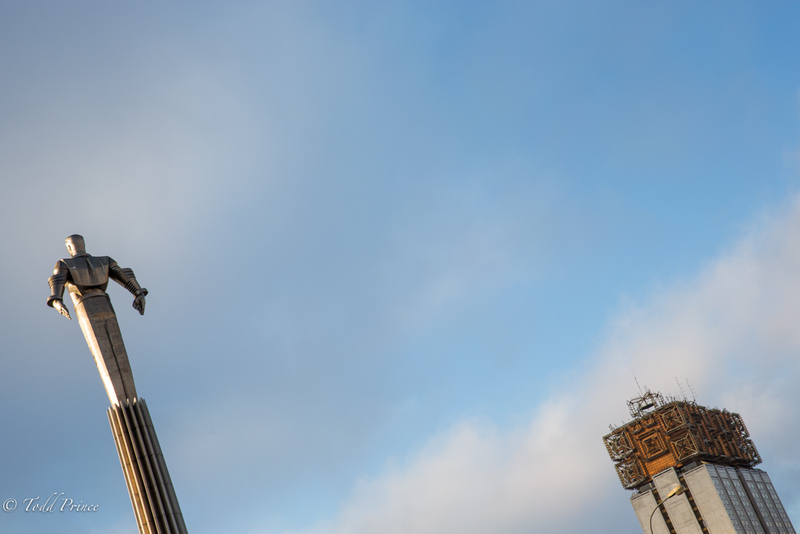 Gagarin Statue stands strong amid a background of steam and smoke stacks. 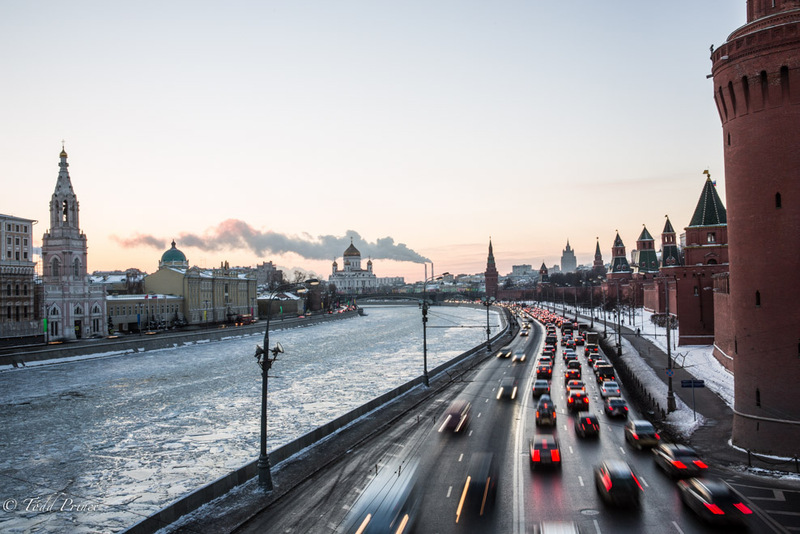 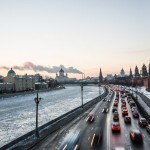 Traffic is thick near the Kremlin as many people head out of Moscow following their last day of work in 2014. 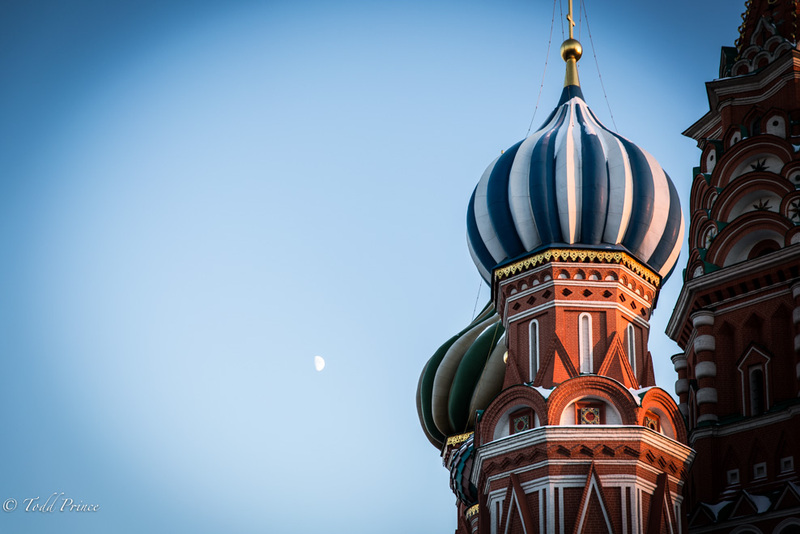 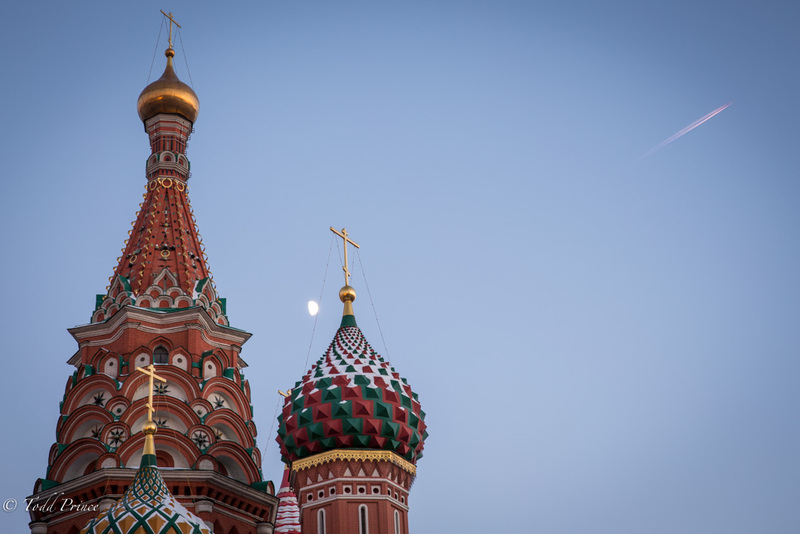 A plane flies over St. Basil’s cathedral and the moon shines between its cupolas. 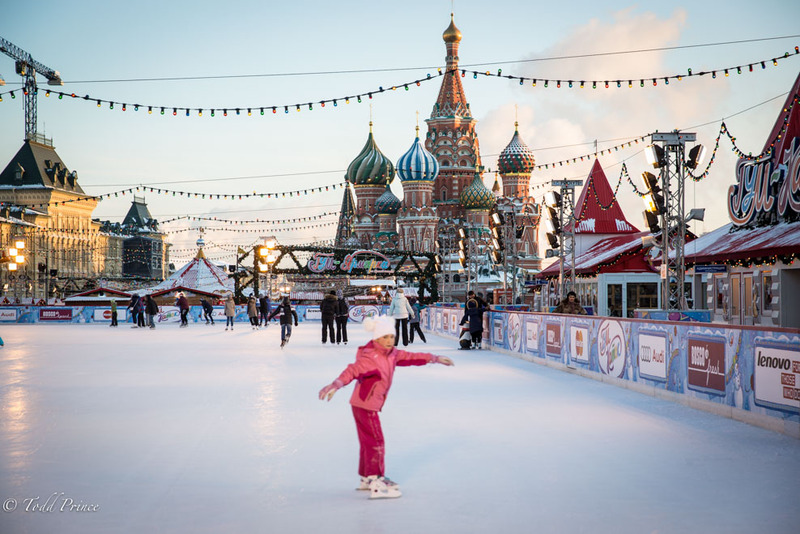 A Russian grandmother with a cane watches her grandchild skate on Red Square. 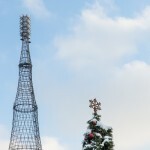 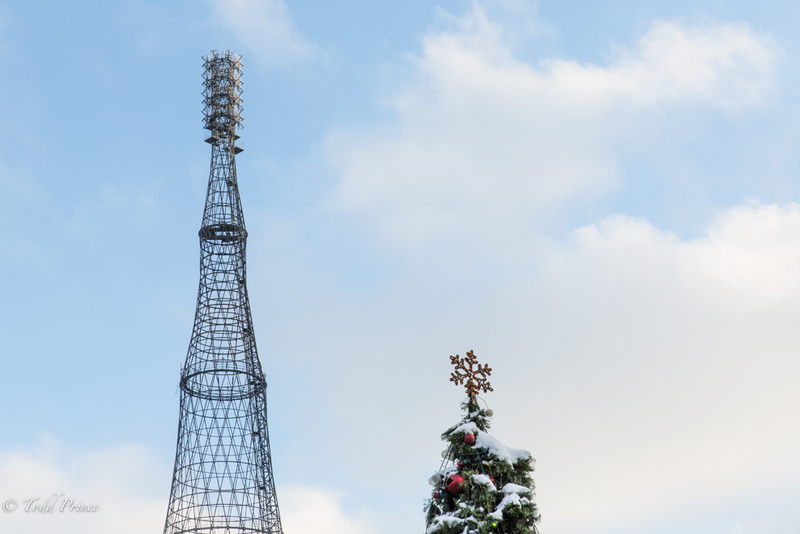 The Soviet-era Shukov radio tower rises above a Christmas tree near central Moscow. 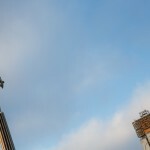 A helicopter flies over the Russian Academy of Science. 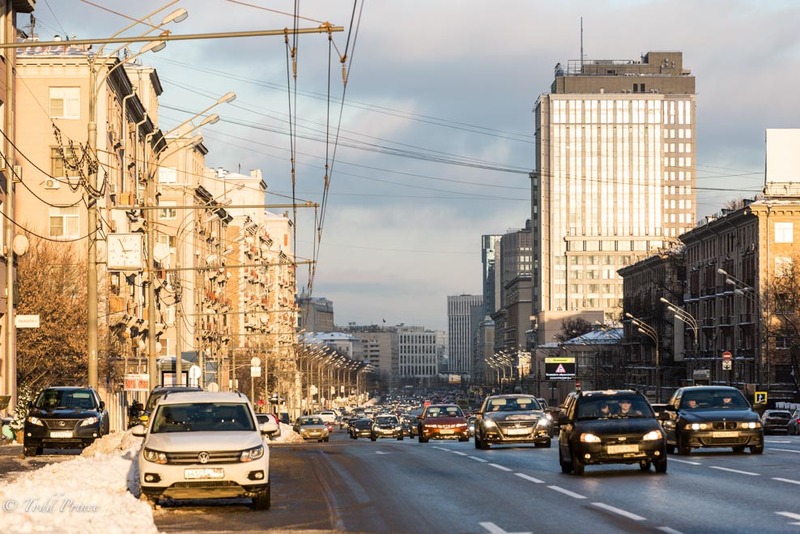 Cars racing down Leninsky Prospect in the direction of the setting sun. 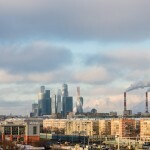 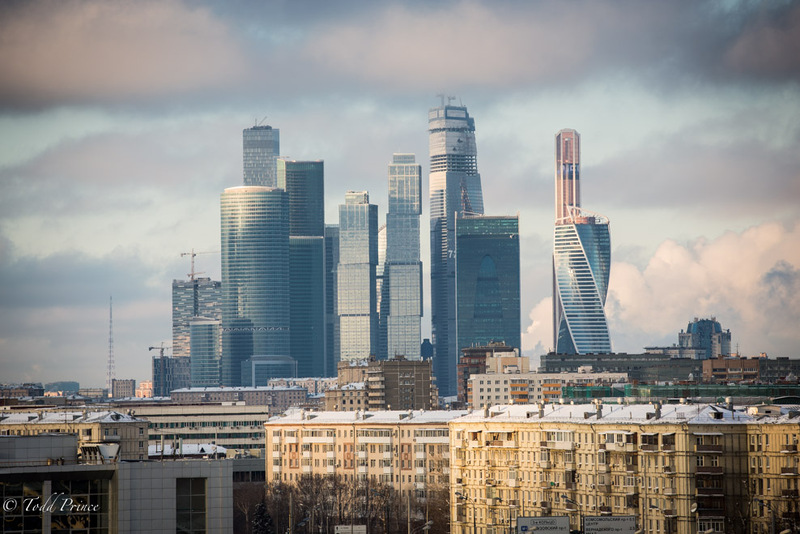 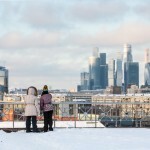 A wide-angle view of Moscow’s Financial District on a sunny Moscow winter day. 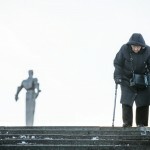 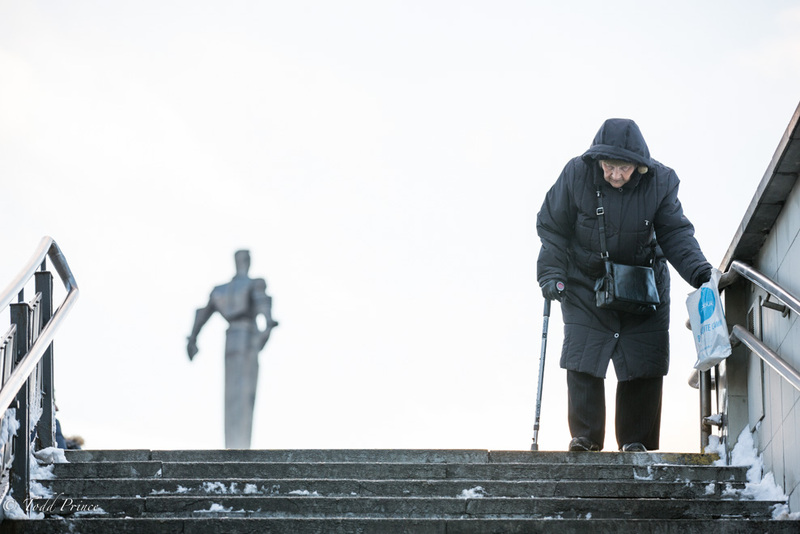 An elderly woman walks down stairs as Gagarin statue rises behind her. 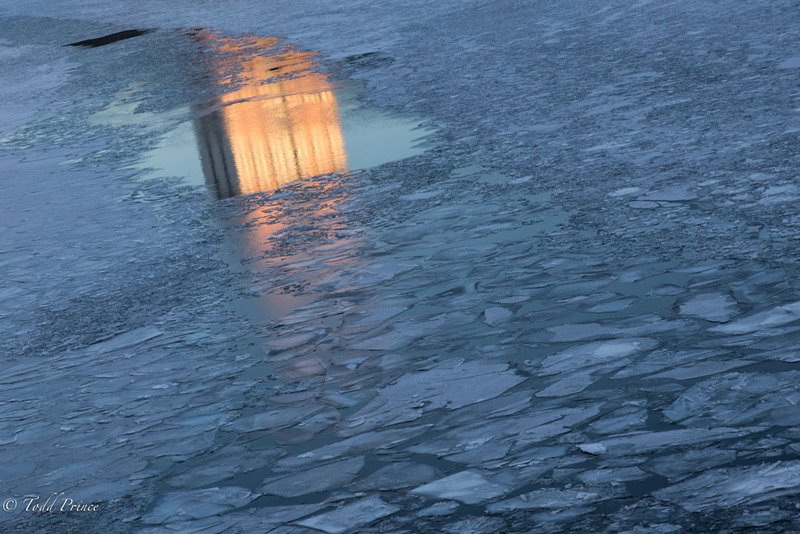 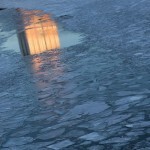 A reflection of the Russian Academy of Science building in the frozen Moscow River.